Rails application templates are Ruby scripts used with the "rails new myapp -m" command to generate a Rails web application. They are often used to generate starter apps that can be the basis of any new Rails project. Also see an annotated list of Rails Examples, Tutorials, and Starter Apps. These websites allow you to select “recipes” and generate an application template and a starter app. Install these gems to generate an application template and a starter app. Some have a collection of “recipes”. Fork the gem and edit the recipes for a custom app template. Use these scripts with the "rails new myapp -m" command to generate an application. 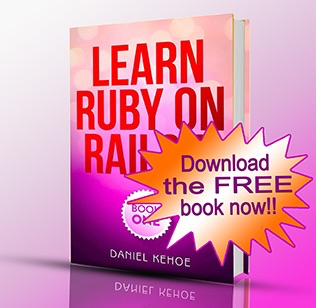 Daniel Kehoe Rails Composer Rails 4.1, Devise or OmniAuth, ActiveRecord or Mongoid. Options for RSpec, Cucumber, Factory Girl, Haml, etc. Denny Britz Rails Startup Template Rails 4, Haml, RSpec, optional Twitter Bootstrap., etc. Nick Janetakis Opinionated Rails Application Templates Rails 4, Postgres, Redis, Bootstrap, etc. lab2023 lab2023 Rails Template Rails 3.2, Devise, CanCan, RSpec, Capybara, FactoryGirl, etc. Devise, RSpec, Factory Girl, jQuery, Haml, Sass, Compass, Git, rvm, HTML5 Boilerplate, plus a layout. Uses subtemplates for easy customizing. Devise (with Cucumber steps), Cucumber, RSpec, Factory Girl, Haml, Compass, jQuery, Git, Formtastic, a layout, and much more. Uses subtemplates for easy customizing. Devise or Authlogic or OmniAuth, Cucumber, Capybara, RSpec, Factory Girl, Shoulda, jQuery, Haml, Compass, 960 grid or Blueprint, Capistrano or Heroku or Inploy, Git, plus a layout. Uses subtemplates for easy customizing. PostgreSQL, Devise, Cucumber with Selenium and Capybara, RSpec with Machinist and Faker, JQuery, Simple Form, Haml, SASS, Git, rvm, Google analytics (optional), Hoptoad for issue tracking (optional), TellThemWhen for downtime notifications (optional). With a description of the recipe in the README. Devise, RSpec, Cucumber with Capybara, Factory Girl, jQuery, Simple Form, Git, rvm. Uses subtemplates for easy customizing. Devise, Cucumber, Shoulda with Factory Girl and Mocha, Haml, Sass, Formtastic, jQuery, Git, rvm. Mongoid or ActiveRecord, RSpec, FactoryGirl, Cucumber (with Mongoid steps), jQuery, Haml, Sass, Compass. Uses subtemplates for easy customizing. Cucumber, RSpec, jQuery, Haml or Jammit, Capistrano, Git, rvm, plus a layout. Uses subtemplates for easy customizing. Cucumber, RSpec, Factory Girl or Fabrication, Haml, jQuery, Git, rvm. Haml, Sass, Git, plus a layout.